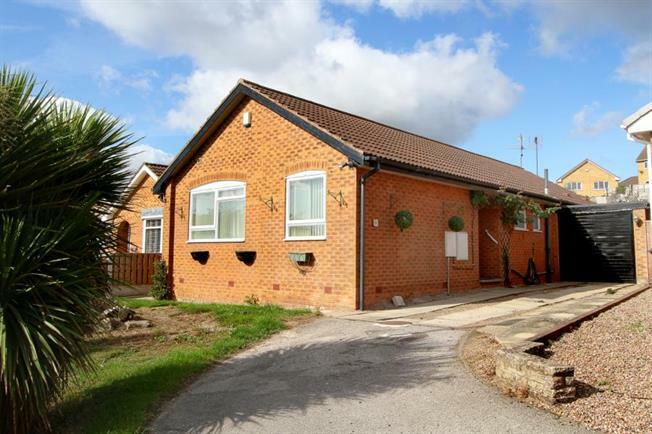 2 Bedroom Detached Bungalow For Sale in Sheffield for Guide Price £250,000. Offered for sale is this superb two/three bedroom detached bungalow immaculately presented throughout. Occupying a sought after cul-de-sac location the property boasts a show stopping Kitchen and stands in landscaped gardens with detached Garage. In brief the accommodation comprises; Entrance Hallway leading to the superb generous Lounge/Dining room this area can easily be transferred back to a third bedroom with the addition of a stud wall if required. French doors to the stunning fully fitted kitchen with central island and breakfast bar. Master Bedroom with En-suite shower room and further double bedroom and modern family bathroom. To the front of the property is a lawned garden and driveway leading to the attached single garage. To the rear is a terraced landscaped garden with patio areas and summer house.